• Step-by-step descriptions of how educators can use protocols to study together, work on problems of practice, teach well, and explore students’ work. • Explanations of the particular purpose for each protocol, discussions of the value that educators have found in using them, and helpful tips for facilitators. • A free supplement on the Teachers College Press website with “Abbreviated Protocols” that can be downloaded and customized to suit each facilitator’s needs. Over the years, most reforms in early childhood education have been well-intended, yet have not kept up with the needs of young children and educators in the classroom. Author Michael Gramling provides an historical overview of how educational policies came into effect and how they are driving educational practices. 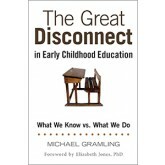 Gramling argues that ineffective practices are the result of unexamined public policies and asserts that educators need to challenge this kind thinking in order to make a difference in children's lives Powerful, thought provoking stories will inspire you to examine the problems and challenge you to envision a preschool classroom that works for all children. 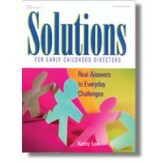 Kathy Lee's extensive personal experience as a director and her years of training teachers and directors provide practical solutions to problems that arise every day. She addresses key issues such as training staff, handling discipline, dealing with parents, and creating partnerships in the community. 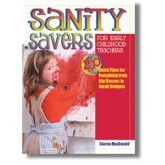 From clean-up solutions to storage ideas to inventive cost-cutting strategies, and everything in between, this book will truly help you keep your sanity in the classroom! 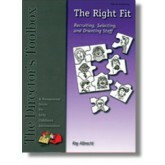 This book breaks down the recruitment, selection, and orientation processes into manageable components and suggests practical and effective techniques to help you find teachers with the right fit for your program's particular needs. Using a 7-point rating scale (inadequate to excellent), this easy-to-use instrument assesses 25 items grouped into 10 categories: human resources development, personnel cost and allocation, centre operations, child assessment, fiscal management, program planning and evaluation, family partnerships, marketing and public relations, technology, and staff qualifications. 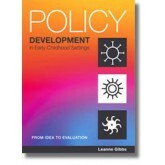 This new second edition of the PAS includes minor refinements to support the reliable use of the instrument and to reflect current best practices in early childhood administration. This uniquely comprehensive manual is a clear, easy-to-read handbook that provides specific guidelines for virtually every aspect of early childhood administration. 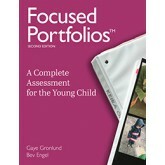 Contents include: sample criteria, procedures for program development, schedules, applications, and evaluation forms. 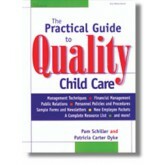 An invaluable tool for every child care facility manager. Policy Development in Early Childhood Settings acknowledges the uniqueness of each service. Along with the explanation of process and requirements there is a range of examples and policy excerpts, plus anecdotal accounts designed to promote clarity and assist services to formulate and implement their own unique policies. It stresses the importance of all policy in upholding the rights, dignity and potential of the community of the service and the strength it has in enhancing the educator's role in the care and education of young children. Caregiver fatigue and low morale is a problem in many early care settings. 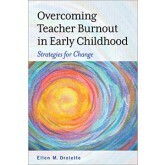 Overcoming Teacher Burnout in Early Childhood focuses on the many reasons why early childhood professionals can suffer from low staff morale that causes such a high industry turnover rate. Included are ways to motivate and inspire yourself and others to view their work in a way that is healthy, intentional, and creates a high-quality early childhood environment. Personal stories from the field highlight how educators have themselves stayed motivated. The conversational style offers opportunities for self-reflection and group work. Practical steps help caregivers find ways to refuel and bump up morale, providing the energy needed to tackle long-term strategies. 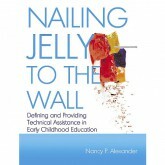 For experts in the field of early care and education, defining and providing technical assistance can be as difficult as nailing jelly to the wall. Learn to effectively coach, mentor, and train early childhood teachers and administrators with guided experiences, strategies, and activities to provide technical assistance in specific program areas like parent involvement, science, outdoor play, music. and art. Whether it's a weekly staff meeting, a monthly parent meeting, or an annual board meeting, directors rely on meetings as the primary vehicle for communicating information, identifying and solving problems, and making new decisions and modifying old ones. There is no avoiding it, skill in facilitating meetings is essential for effective program management. 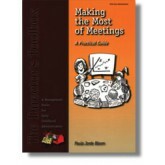 This book is filled with practical tips and techniques to help you reverse the slump you may be experiencing in meeting effectiveness. You'll learn how to accomplish more work in less time and have more fun in the process. What does it mean to inquire? Grownups would say it means to question, to search for information, or to finding out about a topic of interest. For children in an early childhood classroom, the definition is no different. From the time of their birth, children want to know how the world works and actively seek out information. 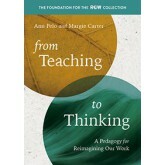 How educators respond to their questions is what this book is all about. 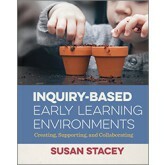 Inquiry-Based Early Learning Environments takes an in-depth look at children’s inquiry. What does inquiry look like in early childhood settings? How does the environment affect children’s inquiries and teachers’ thought processes? Inquiry-Based Early Learning Environments examines inquiry in all its facets, including environments that support relationships, that create a culture of risk-taking in our thinking, that support teachers as well as children, that include families, that use documentation as a way of thinking about our work, and of course, the physical environment and all the objects and spaces within it. Throughout, stories about environments and approaches to inquiry from around the world are included as examples. Working with parents and families can be a challenge, especially when there are contradicting expectations. However, it can also be a joyful and empowering experience for both the program and the family if partnering with families is built into the program’s culture. 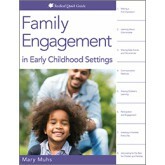 Following a strengths-based approach, Family Engagement in Early Childhood Settings offers all programs, including family child care, center-based programs, and school-based programs, strategies for building or enhancing interactions, engagement, expectations, communication, and participation with families. This Redleaf Quick Guide provides clear information of what to do, as well as what not to do when encouraging family engagement in early care and education programs. Readers will find helpful information on making the best first impressions with parents in-person and online, establishing effective and supportive intake meetings for both parents and program, setting expectations from both perspectives, two-way communication strategies including daily conversations, verbal and technological methods, conferences and documenting learning, and creating a culture of family engagement embedded into every part of your program. Copyright © 2017 Pademelon Press. All Rights Reserved.